The Greek government eventually decided to take the risk of calling early elections for the post of president, which is decided by parliament. They moved quickly to voting for President on 17, 23 and 29 December. If they do not achieve 180 votes on 29 December there will be an early general election at the end of January-beginning of February. This development is related to the fact that in the end of February the extension of the current ‘memorandum’ (Troika loans to Greece and the austerity programme) expires. 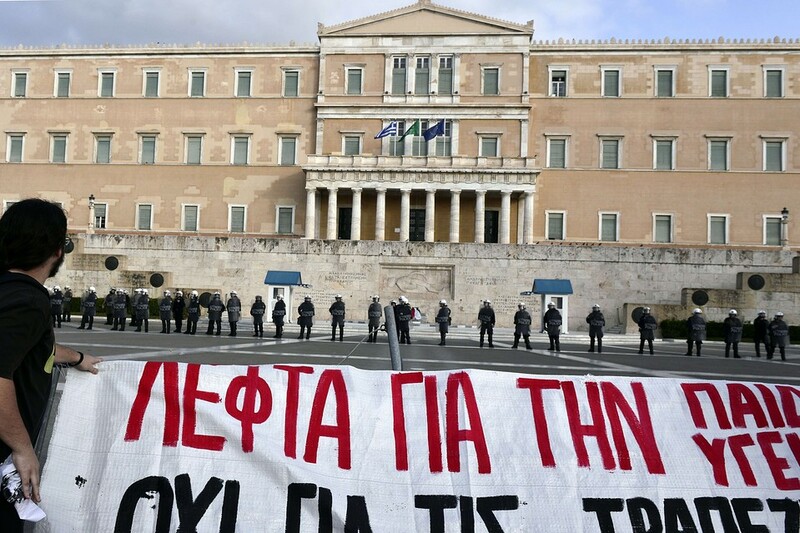 The memorandum ends on the 31 December but the New Democracy/PASOK government was not able to get what it wanted from the Troika in relation to the next memorandum package (which they do not call a memorandum but various other more palatable names to try to hoodwink working people). So they came to a compromise; to extend the current memorandum until the end of February 2015 and to until then try to resolve the issue on which they disagree. In reality, this move by Greece’s prime minister Samaras and finance minister Venizelos was the best they could achieve, given the dead-end their policies have led and after being pushed to the wall by the Troika, which was not willing to accept the “fairy tales” regarding the “exit from the memorandum”, “return to recovery” and “return to the markets” falsely promoted by the Greek government over the past few months. The “recovery” has begun but… austerity deepens! The Samaras – Venizelos duo passed through parliament a hard austerity package on 7 December. In this budget, amongst other things, the following are included: new tax increases (1.5billion euro worth), reduction in social spending (1 billion euro) and reduction of the programme of public investments by 400 million euro! But the tax on the profits of businesses will be reduced! All this austerity is taking place so that the government will be able to pay for the instalments and the interest of the debt (in 2014 alone the debt interest rate will be 5.7 billion euro!). But these measures do not satisfy the Troika, which demands more blood. In particular, the Troika calls for further increase of taxes in food, medicine, books, alcohol and tobacco and the confiscation of the assets of those that owe debts to the banks, new attacks on pensions and pension funds, reduction of pensioners’ benefits and of the number of people that will be entitled to receive benefits. With such a double package of measures, how could the government face the presidential elections in the first quarter of the year? How could they face elections after feeding people with propaganda and lies? The government would be exposed, continuing with new austerity and implementing a new memorandum. They would not find the 180 votes needed for the election of their choice of president nor win against Syriza (Coalition of the Radical Left) in the parliamentary elections that would follow. So the government’s decision to bring forward the presidential elections is not irrational. Their first preference would be to hold onto power until 2016 when the parliamentary elections are scheduled. They hoped that after 5 year of GDP collapse (around 30%), it is inevitable to have some form of economic growth. Samaras hoped that based on this growth the government and the Troika would “celebrate” the success of their policies. They would hope that this way they would out-manoeuvre Syriza and the Left and the present government coalition would win the elections again. This plan collapsed after the Troika refused to give the ND/PASOK government the concessions they needed so that they could overcome the obstacle of the presidential elections. So the government decided to go into battle for the 180 votes to win the presidential race now, before the government is completely ridiculed and even further isolated from society. It will be very difficult for the government to find 180 votes but not impossible. If they do not win enough votes, the government will call new parliamentary elections, hoping they will have a better chance at the polls having not been seen to completely bow down again to the Troika’s latest austerity demands. 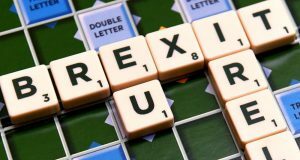 Of course, during a general election the government parties will play their usual game, warning of an exit from the euro if the opposition wins, that all the sacrifices will have been in vain, that Greece we will find itself outside of the European “family” and will lose all the benefits of the euro. They act as if they themselves did not create the terrible social conditions facing working people, with 6.3 million Greek workers on the borderline of poverty or under it. 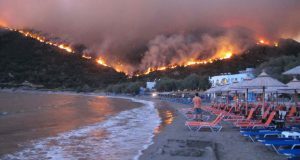 The climate of fear that will be generated by the governing parties cannot be underestimated, which will also be orchestrated by the media, dominated by the interests of shipping tycoons, the bankers and the owners of industry owners, which all support the Samaras-Venizelos government. The battle that is ahead of us is big and it will not be a walk in the park. Working people will need to mobilise their power to get rid of the ‘gangsters’ that govern us. The Left, ahead of this battle, should be united, giving hope to workers, the unemployed and the poor. But it fails to do so. On the one hand, the KKE (communist party) leadership refuses to cooperate with anyone, because according to them those that do not agree with the KKE are “traitors”! On the other hand, Syriza leadership dilutes their policies, alienating the more militant workers and youth and offering an alibi to the sectarian KKE leadership. But despite the limits and deficiencies of the Left, there is no other choice; a battle for a government of the Left is necessary. This means calling for a vote for Syriza and for a Syriza-led government. In any other case, the Troikans will be in government for a further four years. Electing a SYRIZA government is the only way to start fighting back against the social and economic catastrophe and for the opposition movements to step up resistance. 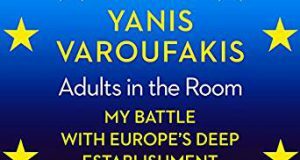 And a struggle is needed on the Left for a Syriza government to carry out socialist policies otherwise there will be a repetition of the course of PASOK, from its previous radicalism to selling out workers and youth. 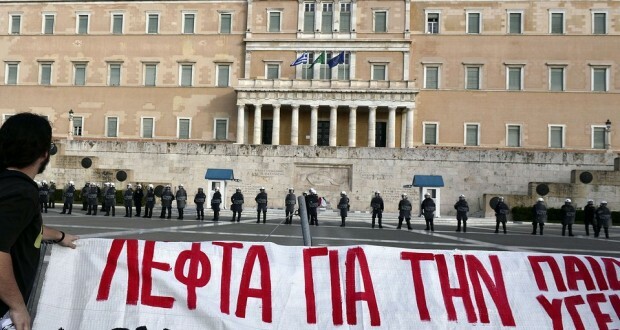 Unless a Syriza government carries out socialist policies – including repudiates the debt, opposes the Troika and taking into democratic public ownership the commanding heights of the economy to be used for the benefit of the majority – a historic opportunity will be lost and disappointment and defeat, not only for SYRIZA but for the whole Left, opposition movements and society will be felt.